In case you missed it, we finally found out what Kate was doing when Prince William was partying with friends in Switzerland in mid-March. She was busy celebrating at her sister Pippa's bachelorette party in France (ironically enough, both of the royals were skiing -- just in different places). Anyhow, fast forward a month or so, and Pippa's big day is closer than ever (May 20!) -- and preparation seems to be in full swing. Duchess Kate was spotted leaving her sister's house Thursday after a "bridal party summit," and we wonder what the famous siblings could have been discussing. Seating arrangements? Dress alterations? The drama surrounding Meghan Markle potentially not being invited? The possibilities are endless! 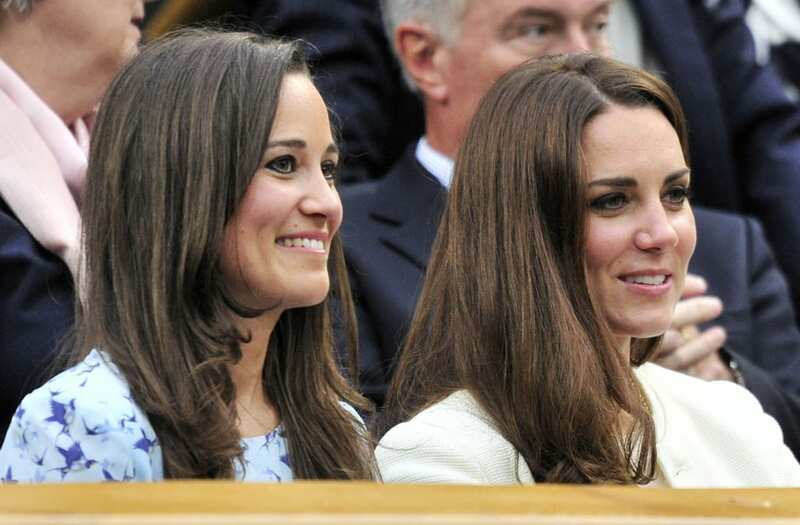 The visit comes days after Kate and William dined with their future brother-in-law's family. And while the duchess was all dolled up for that, she was impeccably casual on Thursday, donning her go-to Supergas, a knit sweater (we'll get to that) and simple skinny black jeans.